An outstanding series of regional State by State guides. Previously researched treasure sites including stories of hidden and buried loot from train robberies, bank robberies, as well as hidden caches of money, jewels, guns and other valuables. Many locations were sourced from various records, newspaper articles, police records and of course tales told from one person to another. A great way to get into detecting that can payoff in big finds. 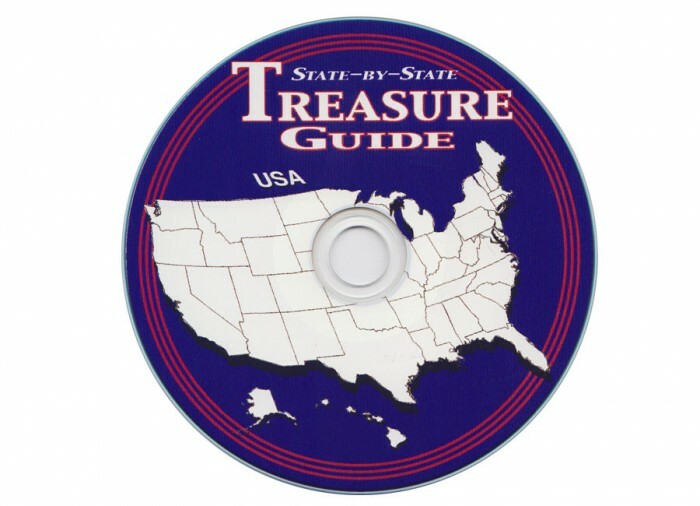 This Free Regional CD Guide is included with certain metal detector purchases. Your Free State by State Regional Guide will include your state plus additional bonus states at no additional charge. 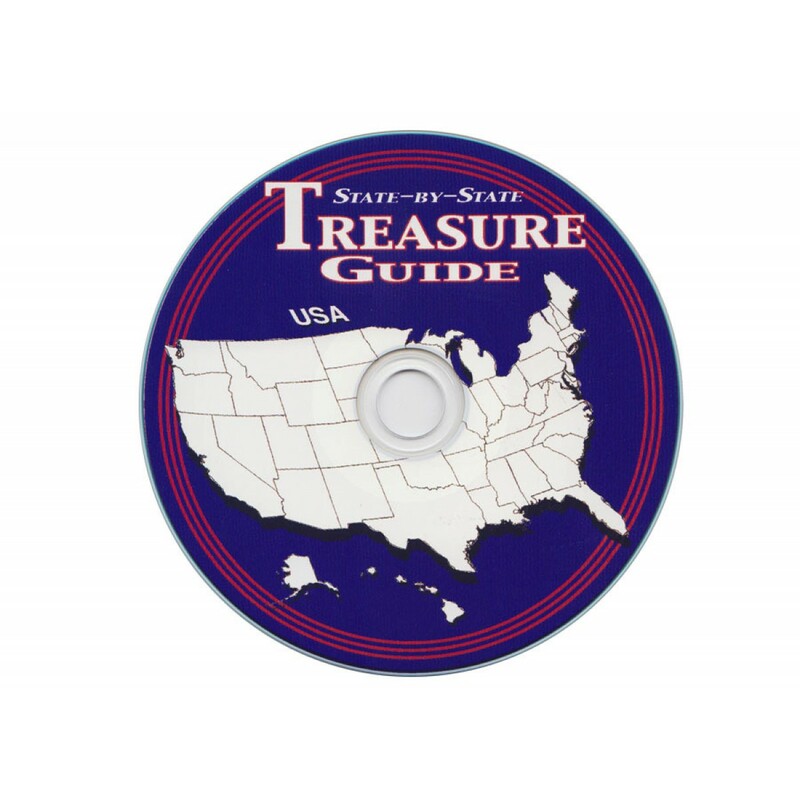 Free State by State Regional Guide is an easy to use compact disc format, compatible with Macs and PCs.